The Mount Washington Volunteer Ski Patrol (MWVSP) is among the oldest and most history-rich ski patrols in the U.S. 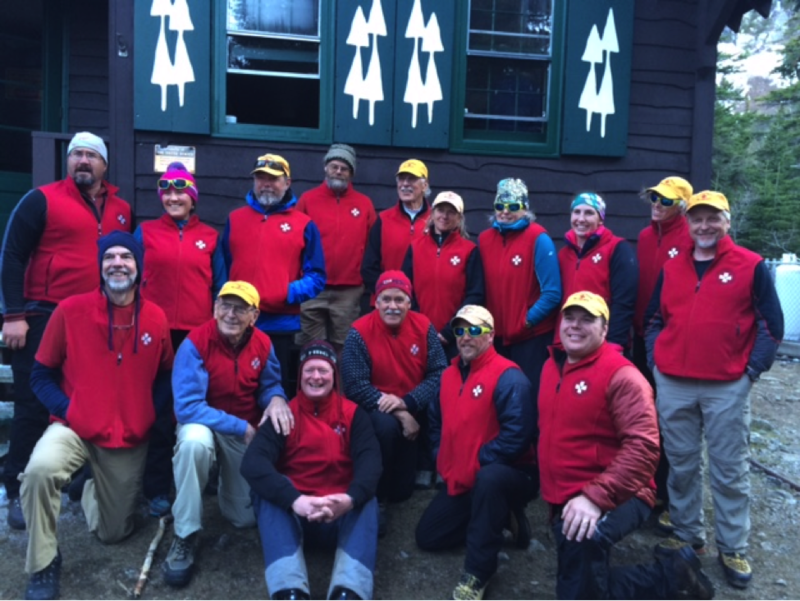 Founded in 1939 by Henry “Swampy” Paris as the Mount Washington Safety Patrol, the patrol legacy precedes the incorporation of the National Ski Patrol (NSP) itself. 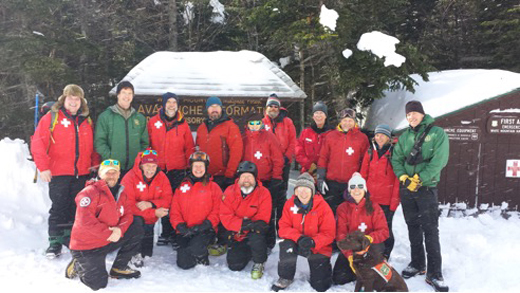 Now, part of the National Ski Patrol – Eastern Division, the MWVSP proudly serves as part of the NSP New Hampshire Region, patrolling Tuckerman and Huntington Ravines from March through the end of May for each spring skiing season. Our duties are not limited to spring skiers, as our mission is to support the U.S. Forest Service (USFS) and Mount Washington Avalanche Center (MWAC) with all aspects of education, first aid, and search and rescue for all travelers though the ravines during our season. We also promote backcountry education and safety through public events year round, such as the annual Eastern Snow & Avalanche Workshop (ESAW), held each fall. Our environment is unlike any other eastern patrol, as we operate in a true alpine avalanche hazard zone. The base of operation at Hermit Lake is accessed via a 90-minute hike up the Tuckerman Ravine Trail from the Appalachian Mountain Club (AMC) Pinkham Notch Visitor Center. Our patrollers have a hearty backcountry spirit with knowledge and camaraderie that is unmatched. Please talk with us at Hermit Lake on your trip up to ravines. We have daily safety and weather information, but especially just enjoy talking with people. We operate with a small staff of approximately 20 patrollers. The men and women of the MWVSP come from a diverse background with many talents. We are always looking to meet prospective MWVSP candidates during our spring season. Click here for more information on joining our patrol!